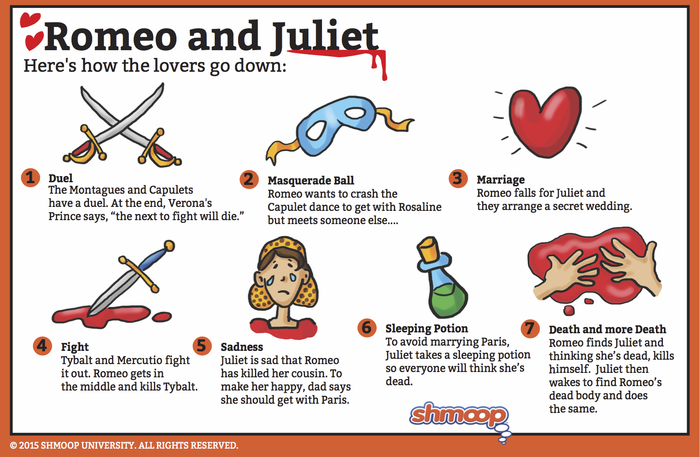 But soft, what light from yonder window breaks? 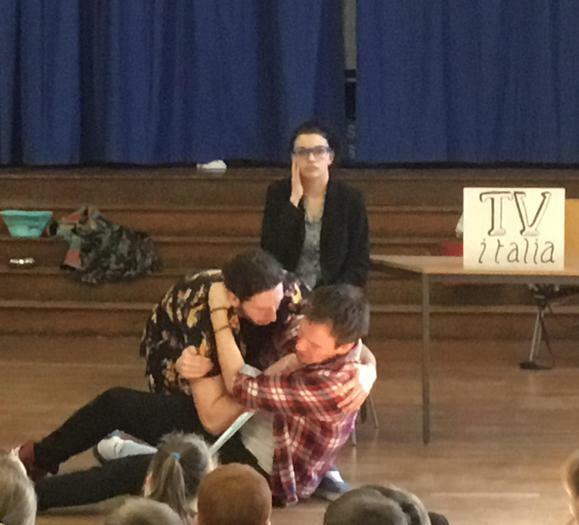 Romeo & Juliet arrives in school. 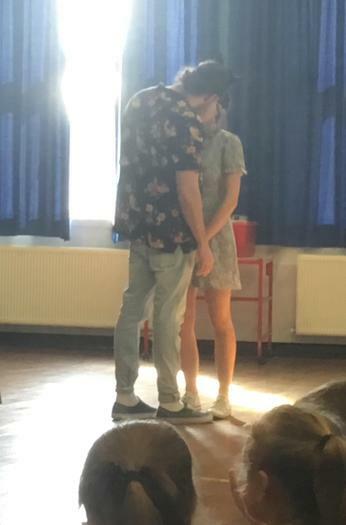 The world famous story of the two young, star-crossed lovers was brought to life this afternoon for all our children in Key Stage 2. 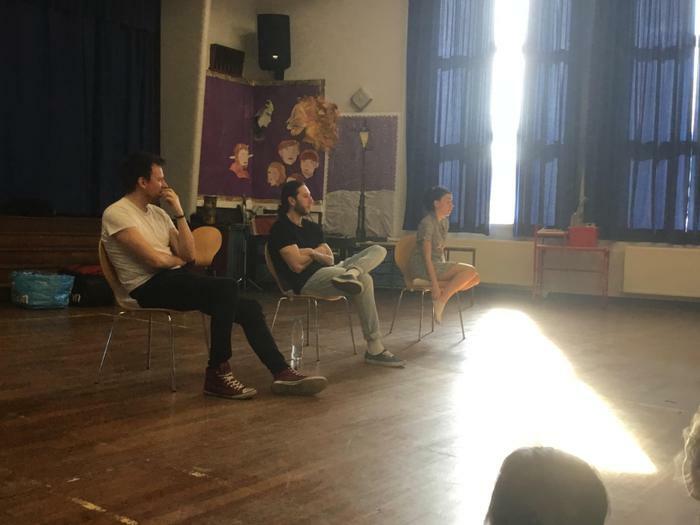 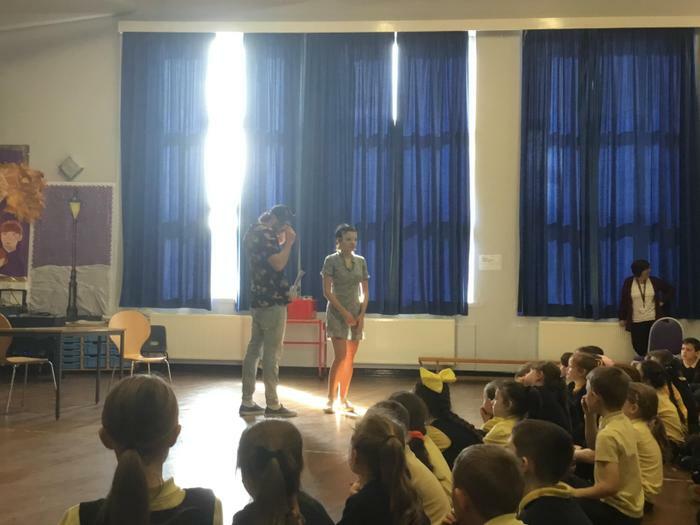 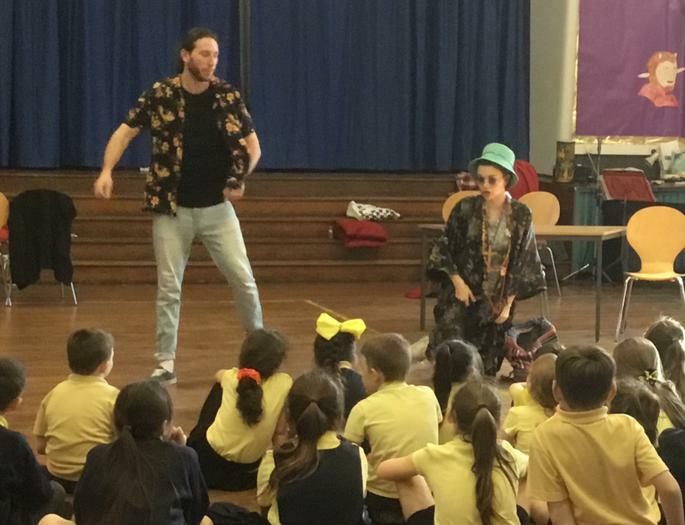 The children watched, spell bound, as with minimal set and props and simple costume, Emily, Josh and Peter from the Manchester Actors Company told the tragic tale of Romeo and Juliet. 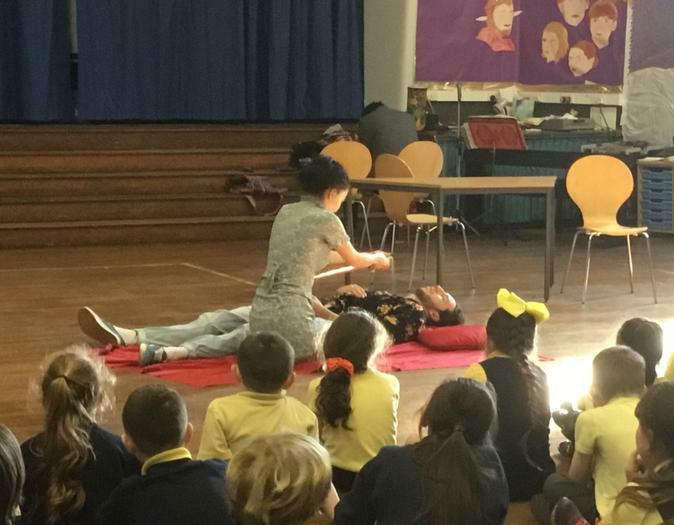 The children experienced the full range of emotions as they cringed at the kissing, gasped at the the stabbings and gazed in silence as the poison did its worst! 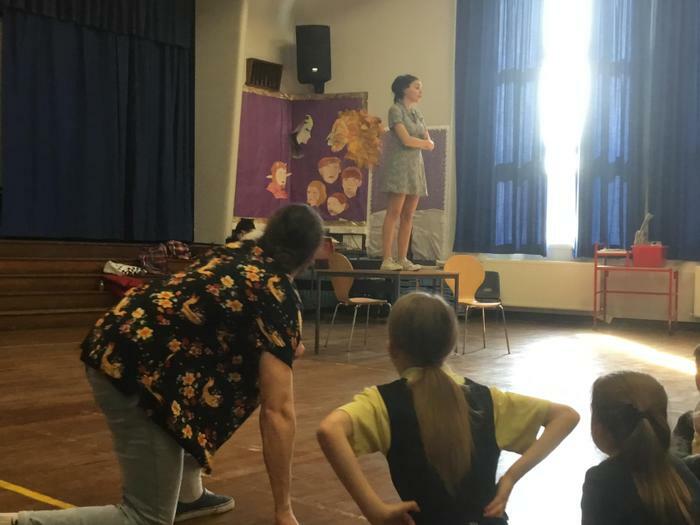 The quality of the performances were reflected in the questions the children asked after the play, from technical questions around set and props, to the difficulty in learning lines and rehearsing the set and costume changes. 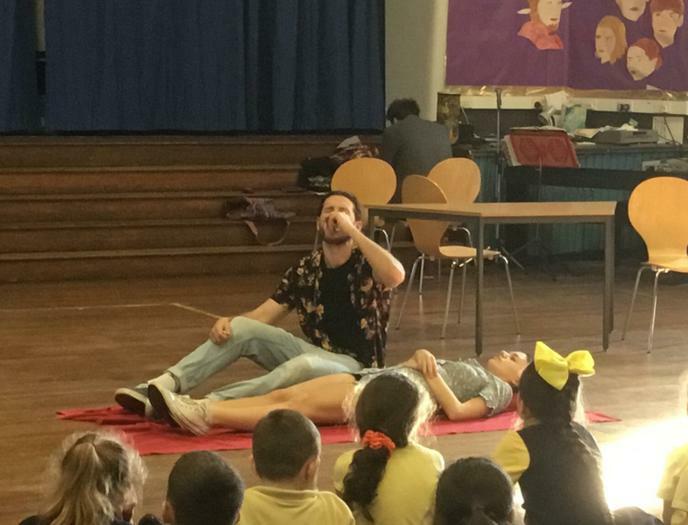 The Shakespearian language was no barrier, as the children gained a clear sense of the story, questioning the actions and motivations of the various characters and a genuine disbelief a how such a tragic story could unfold in just such a short space of time! 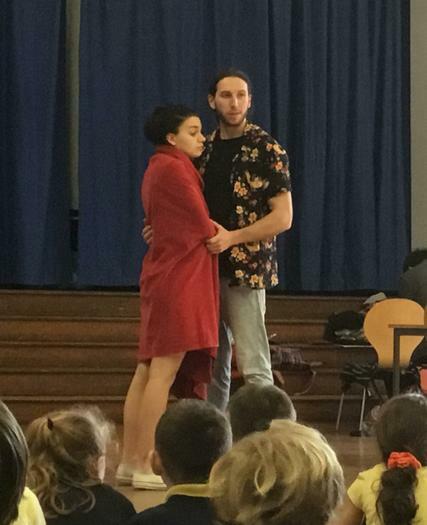 Year 5 will continue to study the play and perform extracts before considering it alongside another of Shakespeare’s plays, The Tempest. 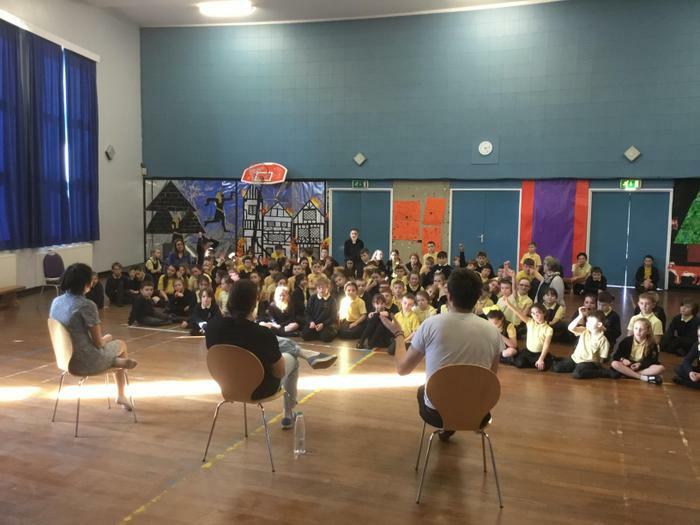 It is such an important opportunity for the children to see the language of Shakespeare lifted from the page and brought to life through live performance.